There are a number of different academic pathways to a career as a teacher, but they all share the goal of preparing individuals to make a positive impact in school settings. For those considering a career switch to the classroom, an master of arts in teaching program can provide the training needed to make the transition to teaching. An MAT degree is often designed for candidates who possess baccalaureate degrees and who are seeking initial licensure as teachers. Students can enter these types of MAT programs with a strong academic background in the subject which they wish to teach, for example an English degree or a biology degree, but without any teaching experience. 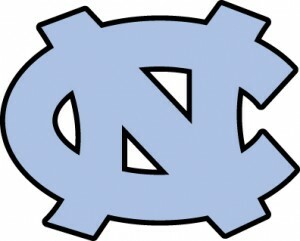 One such program is the University of North Carolina’s Master of Arts in Teaching. Building on the foundation of coursework completed at the undergraduate level, the UNC MAT program focuses on developing teaching skills and classroom leadership. By entering the teaching profession at the master’s degree level, UNC MAT graduates generally earn higher starting salaries than those who begin teaching with a bachelor’s degree. Consistently ranked among the top public universities in the United States by such recognized publications as the Princeton Review and the U.S. News and World Report, the University of North Carolina is the flagship institution of North Carolina’s university system. Degree candidates in the UNC MAT program benefit from UNC’s nationally noted faculty, and from student peers who have risen to meet UNC’s selective admission standards. The UNC MAT program prepares graduates for initial teaching licensure in K-12 academic settings. Students can choose from content area specializations in English, French, German, Latin, Spanish, social studies or English as a second language. Coursework in the UNC MAT curriculum emphasizes leadership, research and the development of teaching skills applicable to real-life school contexts. Toward these ends, the UNC MAT curriculum comprises a full year of coursework and field experience, including advanced seminars and two internships, one in the fall semester and one in the spring. UNC’s network of partnerships with regional public schools provide degree candidates with ample opportunities to connect theory and practice while gaining experience in actual classrooms. Students also work to create a portfolio and presentation as part of the program’s degree requirements, solidifying research and lecturing skills in the process. Admission to the UNC MAT program is competitive, and applicants should have completed any prerequisite undergraduate coursework necessary for their chosen content areas. The admissions committee looks at factors such as GPA, GRE scores and letters of recommendation when making admissions decisions. A minimum undergraduate GPA of 3.0 is required for consideration. UNC has no official required cut-off score for GRE tests, but the school does advise that prospective applicants who scored below the 50th percentile should attempt to retake the test. Tuition for UNC’s Master of Arts in Teaching program is assessed and charged on a per semester basis. As of the 2012 to 2013 academic year, tuition and fees totaled to $5,344.74 per semester for North Carolina residents. Out-of-state students paid $13,389.74 per semester in the same year. For assistance in funding their education, students may apply for federal financial aid in the form of loans, grant and scholarships. The University of North Carolina does not provide any fellowships or graduate assistantships specifically for MAT students, but some students may eligible to apply for university-wide scholarships. The University of UNC MAT requires the completion of 33 credits, with UNC permitting enrollment on a full-time basis only.